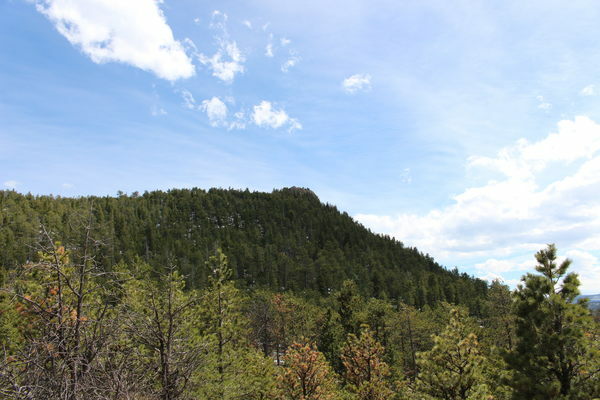 Point 8547 is a prominent peak in the area of the North Sheep Mountain Trail and Bright Extension Trail. Parking off the roadside at the closed gate, near the Coulson Gulch Trailhead, we went down the Coulson Gulch Trail. After about 1.3 miles on the trail, at the old cabin, we found a place to cross the creek, which was higher than normal due to springtime melting. After crossing, we departed the trail, ascending west, then northwest up the east ridge of Point 8547. The going was steep, but reasonable, with forest that wasn't too dense for enjoyable travel. We followed the ridge as it formed an arc toward the southwest, ascending a prominent knob, then made our way through a little snow just before reaching the summit of Point 8547. We reached the Point 8547 summit at about 13:40. 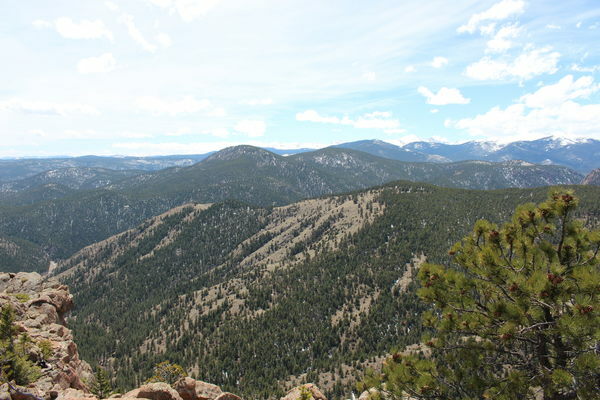 This summit has spectacular views to the west and south, showing Taylor Mtn, Big John Mtn, and Mt Meeker, among others. We call this mountain "Bubbies Pickles Peak" because the old summit register, placed there by Mike Garratt, is housed inside a Bubbies Pickles jar. It's still there. He placed it there on Dec 19, 2004. The first signing after placement was by us on April 8, 2005. We signed it again on Nov 20, 2006. Our third signing was March 24, 2012. The last signing before today was March 1, 2016 by Craig Hickethier. 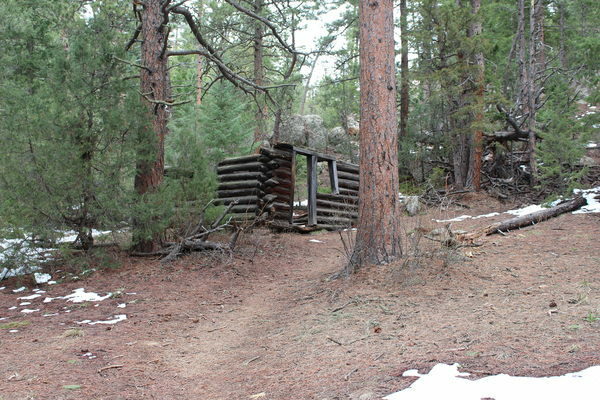 For the descent, we headed north, through a few inches of snow on the north facing slope, then finally came upon a mountain biking trail which we followed until it's intersection with Johnny Park Road, shortly before the Coulson Gulch Trailhead. We returned at about 15:40, approximately 4.5 hours after starting. 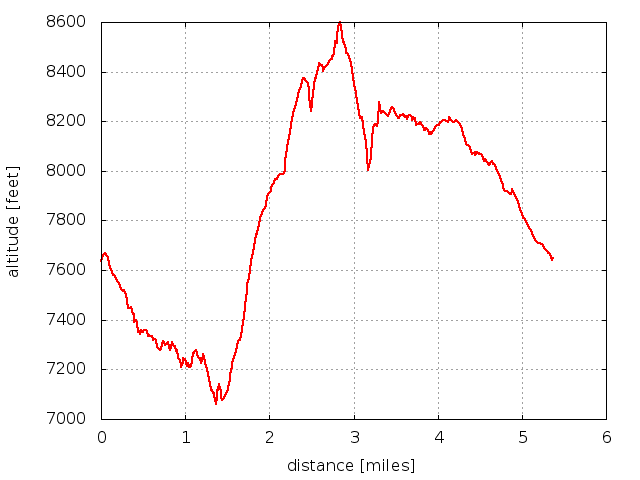 The total elevation gain was about 1800 feet, and total distance about 5.4 miles.